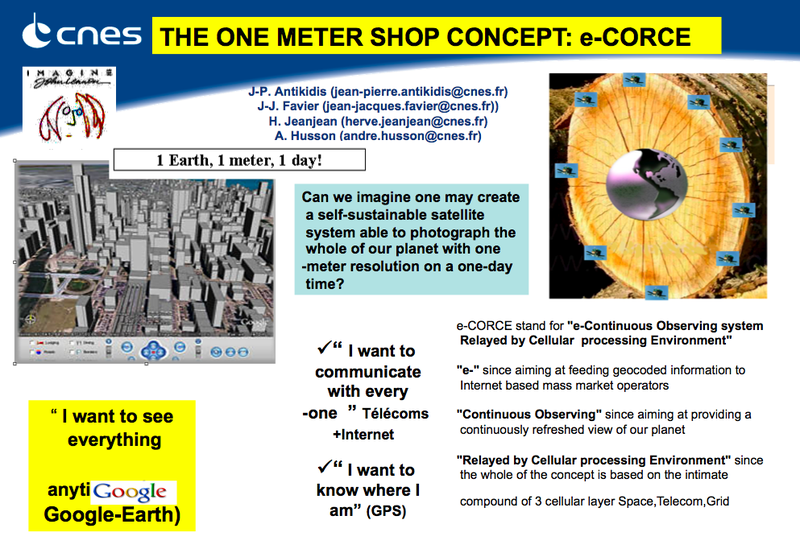 e-CORCE to render Google Earth Obsolete? I was watching TV Afrique during my stay in Jo’burg for MobileActive ’08 and caught an interesting piece of news that could have far-reaching implications for crisis mapping: a new project called “e-Continuous Observing System Relayed by Cellular processing Environment” or e-CORCE. The project would make use of 13 satellites and 50 relay stations for image processing. CNES hopes to have the e-CORCE operational by 2014. This entry was posted in Crisis Mapping, Humanitarian Technologies and tagged Crisis Mapping, Satellite Imagery. Bookmark the permalink.